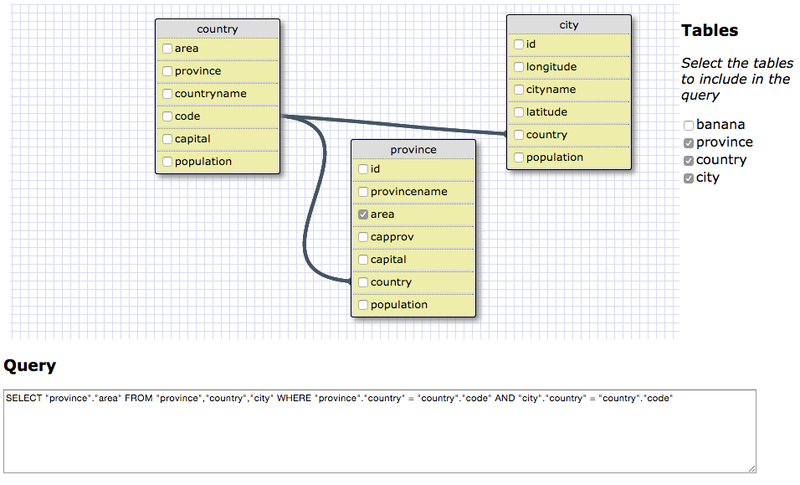 I recently needed to add a simple visual interface for building SQL queries based on existing schema models – you know the sort of thing, a bit like the UI you get in Access, but running in the browser. I really, really tried to find something out there that was open source, lightweight, easy to integrate, and preferably client-side only. Well, the best I could find was maybe 3 stars out of 4. You can see a live version over at BitBalloon. The whole thing should be available under an open source license and up on Github soon – it really is a very simple bit of scripting. This entry was posted in development, open source. Bookmark the permalink.